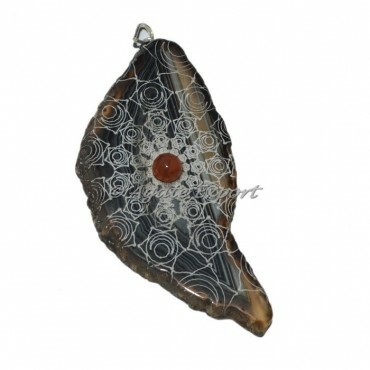 Bring luck to life by buying this divine chakra pendant. Spleen Chakra is known to bring victory and luck to an individual's life. This gemstone pendant can be engraved with logo and design as per your choice.